Top Ten Lists change all the time, they change over the years due to the introduction of new Disney movies, they change due to people’s different opinions, they change due to the age of the people being asked and they can change from country to country, for example what may be popular in the UK may not be the same as in the USA. However there are Disney movies that appeal to people of every age no matter what country they are in – and these are the top ten Disney movies of all time which were decided by ratings on the Disney database. Big Hero 6 is the 54th animated movie to come from the Walt Disney Animation Studies and was released in 2014. 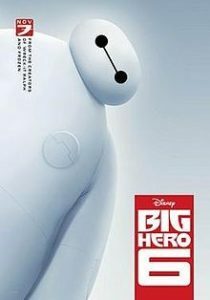 Big Hero 6 was directed by Don Hall and Chris Williams and the movies budget was $165 million and made $657.8 million from the Box Office Worldwide. Big Hero 6 is a superhero/comedy computer animated movie and is notable for being the first Disney movie ever to feature characters from another franchise, which in this case is Marvel Comics. It is set in a fictional and futuristic metropolis of San Fransokyo and tells the story of Hiro Himada (voiced by Ryan Potter) who is a robotics expert and Baymax, (voiced by Scott Adsit) one of the robots he created. Big Hero 6 won the Academy Award for Best Animated Feature in 2014 at the 87th Academy Awards. Monsters Inc was released in 2001 by Walt Disney Pictures but produced by Pixar Animation Studios. The movie was directed by Pete Docter. 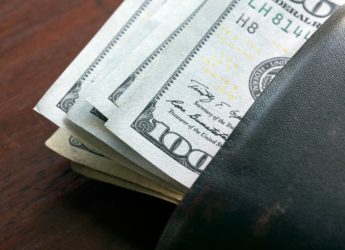 The movies budget was $115 million and made $577.4 million from the Box Office Worldwide. Monsters Inc. was re-released in cinemas in 2012 but this time as a 3D release. 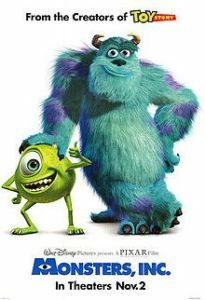 Monsters Inc. is centred on James P “Sulley” Sullivan (voiced by John Goodman) and Mike Wazowski (voiced by Billy Crystal), who generate the power of their city by targeting and scaring young children. They themselves are also afraid, afraid that the children they are scaring them may contaminate them. And then the worst thing happens, one of the children enters Monstropolis, the home of the Monsters. Monsters Inc won the Academy Award for Best Original Song – If I Didn’t Have You by Randy Newman at the 73rd Academy Awards. Spirited Away is a Japanese anime fantasy film which was released in Japan in 2001. It was produced by Studio Ghibli, however the Walt Disney Pictures approached John Lasseter, the director of Pixar to supervise an English-Language translation for release in North America. This version was directed by Kirk Wise and written by Cindy David Hewitt and Donald H. Hewitt. The movies budget was $15 million and grossed over $289 million worldwide which made Spirited Away the most successful Japanese film. Spirited Away is the story of Chihiro Ogino, a sullen ten year old girl who enters the spirt world after moving to a new neighbourhood with her parents. It follows Chihiro’s efforts to get both her and her parents free to return to the human world. 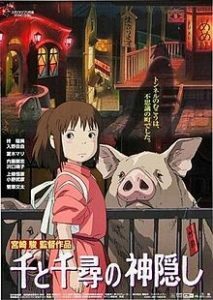 Spirited Away won the Academy Award for Best Animated Feature in 2003 at the 75th Academy Awards. It is the only Japanese animated film to win the best animated film. Tangled was released in 2010 and is the 50th animated feature film to be produced by Walt Disney Animation Studies and released by Walt Disney Pictures. It is a 3D computer animated musical fantasy comedy film loosely based on Rapunzel, the fairy tale written by the Grimm Brothers. It is directed by Nathan Greno and Byron Howard. The budget for Tangled was $260 million and it took $591.8 million at the Box Office Worldwide, which made it the most expensive animated film ever made. 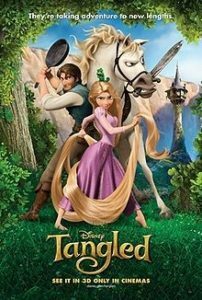 Tangled tells the story of Rapunzel (voiced by Mandy Moore) a lost young princess who has long magical hair and is locked up in a secluded tower which she yearns to leave but is not allowed to by her mother. However against her mother’s wishes Rapunzel accepts the help from Eugene ‘Flynn Ride’ Fitzherbet (voiced by Zachary Levi), a handsome young man who offers to free her from the tower and show her the world she has never seen. Toy Story tells the story of toys, which belong to Andy, and then left on their own away from human beings, these toys came to life. 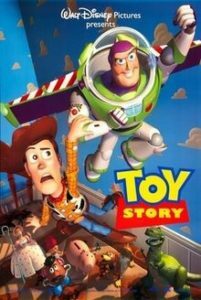 It specifically focuses on Woody, a pull string cowboy doll (voiced by Tom Hanks) who was Andy’s favourite toy until Buzz Lightyear, an astronaut action figure (voiced by Tim Allen) came along and replaced him. Finding Nemo was released in 2003 and is a computer animated film that was produced by Pixar Animation Studios. It was directed by Andrew Station. The budget for Finding Nemo was $94 million and it took $940.3 million at the box office and was the second highest grossing film of 2003. Ad of 2006, the DVD release of Finding Nemo had sold 40 million copies is the bestselling DVD of all time. 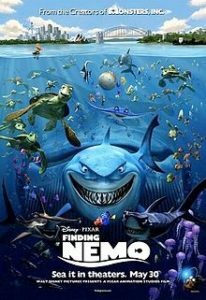 Finding Nemo tells the story of Nemo (voiced by Alexander Gould), a clownfish who gets separated from his father Marlin (voiced by Albert Brooks), and ends up in a fish tank in a Dental Surgery in Sydney. Marlin goes on a search and rescue mission and on his way meets Dory (voiced by Ellen DeGeneres), a blue tang fish who has a short term memory – who have a very hairy ride on the way to Finding Nemo. The Little Mermaid was released in 1989 and is an animated musical fantasy film produced and released by Walt Disney. It was directed by Ben Clements and John Musker. The budget for the movie was $40 million and at the box office it took $211. The Little Mermaid was the 28th animated film to be released by Disney and is credited as marking the start of the era known as the Disney Renaissance. It won an Academy Award for Best Original Score and Best Original Song for Under the Sea at the 62nd Academy Awards. 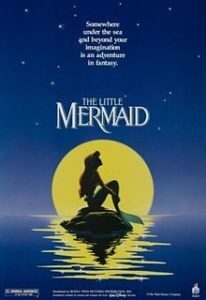 The Little Mermaid is based on a Danish fairy tale of the same name by Hans Christian Anderson and tells the story of Aerial (voiced by Jodi Benson), a beautiful mermaid princess who dreams of becoming human. 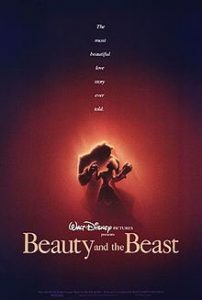 Beauty and the Beast was released in 1991 and was the 30th animated romantic movie to be produced and released by Walt Disney. It was directed by Gary Trousdale and Kirk Wise. The budget for the movie was $25 million and it took $425 million at the box office. Beauty and the Beast won the Academy Award for Best Original Score and Best Original song for ‘Beauty and the Beast’ at the 64th Academy Awards. Beauty and the Beast was based on the French fairy tale of the same name written by Jeanne-Marie Leprince de Beaumont and tells the story of the relationship between the Beast (voiced by Bobby Benson) a prince who is transformed into beast as punishment for his arrogance and Belle (voiced by Paige O’Hara) a beautiful girl who comes to the castle for help and ends up being imprisoned to the Beast while he attempts to get her to fall in love with him so he can turn back into a prince. Aladdin was released in 1992 and was the 31st animated film to be released by Walt Disney. It was directed by John Musker and Ron Clements. The budget for Aladdin was $28 million and it took $504.1 million at the box office. Aladdin won an Academy Award for Best Music, Original Score and also for Best Music, Original Song for ‘A Whole New World in the 66th Academy Awards. Aladdin is based on the Arab folktale Aladdin the Magic Lamp and tells the story of Aladdin (voiced by Scott Weinger) and his pet monkey Abu who end up in jail due to getting involved with Jarfar (voiced by Jonathan Freeman), a henchman to a wealthy Sultan who is plotting to take over the kingdom with the aid of a magic lamp. 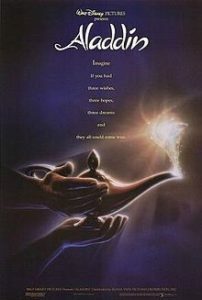 A sub plot of the movie is Aladdin’s relationship with Jasmine (voiced by Linda Larkin) a beautiful princess, and also the relationship between Aladdin and the genie (voiced by Robin Williams) who lives inside the lamp. 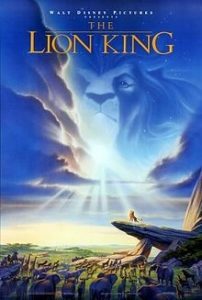 The Lion King was released in 1994 and was the 32nd animated movie to be released by Disney. It is a musical film and was directed by Roger Allers and Rob Minkott. The budget for the movie was $45 million and it took $968.5 million at the box office. The Lion King was influenced by William Shakespeare’s ‘Hamlet’ and tells the story of Simba (voiced by Jonathan Taylor Thomas & Matthew Broderick), who is a young lion expected to succeed his father Mufasa (voiced by James Earl Jones) as King, but this is thwarted by Scar (voiced by Jeremy Irons) who is Mufasa’s brother and wants to be King himself so he murders his brother and manipulates his nephew Simba into thinking he was responsible for the murder and advises him to flee into exile. The Lion King won an Academy Award for Best Original Score by Hans Zimmer and Best Original Song for “Can You Feel the Love Tonight” by Elton John and Tim Rice at the 67th Academy Award. And in 2016 the film was selected by the Library of Congress, for preservation in the United States National Film Registry for being “culturally, historically, or aesthetically significant”.